Last month was The Koelle Institute’s annual Mustang Training for Master Facilitators. I love this event. Every year, I teach a select group of students who are apprenticing to become Master Facilitators. 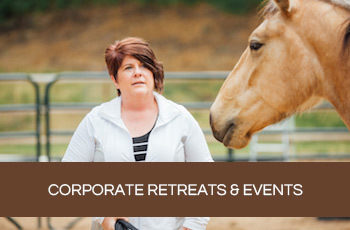 The primary focus of the training is to expand an Equus Coaches’ skills set from working with private clients to learning how to lead larger group workshops. I’ve found that wild mustangs are the perfect teachers to help these students dramatically improve their awareness of how to aonead a client’s emotional pattern and swiftly create an understanding of how this emotional pattern can shape the way he or she interacts with life. For this year’s training in Portland, Oregon, we brought in two wild mustangs. Now understand, the Wild American Mustang endures a rather traumatic journey. In order to keep the numbers of wild horses on government lands to a minimum, the Bureau of Land Management (BLM) routinely rounds them up. They are herded by helicopter into a hallway of catch pens. Cramped into holding pens with other bands of wild horses—who kick, bite, and are generally stressed—they are sorted and often separated from their families. They are then chased forward into tightly packed horse trailers where they are driven off to longer-term holding facilities. At the holding facility, they are herded through a series of chutes, ending in a hydraulic squeeze chute where they are branded as government property and given a series of vaccines. If they are in this facility long enough, they will also be herded into squeeze chutes that tip them onto their sides in order for a farrier to trim their hooves. Contrast this with the wide open plains they are used to and you can imagine how traumatic this process can be! For many skilled horse trainers gentling a wild mustang to the point where they feel comfortable being approached, touched, haltered and led can take several weeks of intense work. My training begins by developing a dialogue of understanding and trust, and my apprenticing students accomplish this same process in just 4 days! In our training, I guide students through how to gently build a relationship with wild mustangs using presence, feeling, and an open emotional connection. We use nonverbal gestures and body language to guide the horses from one round pen to another through a relatively narrow chute. During this gentle herding process we help the wild mustangs understand that unlike their experience of the BLM chute, they are free to leave the chute at any time. The chute is designed to provide some level of safety to the students as mustangs can frequently kick, bite, or bolt at explosive speeds when seeking to protect or express themselves. Eventually, we make a request for the horses to stop in the chute. We slowly approach until their body language reflects that they are reaching the edge of their comfort zone. When we notice this, we pause our approach and allow them to settle back into a state of ease before we turn and walk away, showing that we have no intentions of harming them. This approach and retreat conversation allows students to work up to making their first physical contact with the wild mustang. After a few attempts, the two horses began to understand our cues. Although naturally a bit nervous, they were willing to stop in the chute and gradually became more calm and curious about what we were doing. It became clear to me that one of the mares, the beautiful red roan, was indeed a bit more sensitive than many of the mustangs I’ve worked with in the past. Her panicky behavior communicated that a good handful of trauma memories had been formed in relation to being in a chute and being approached by people. When the students approached her to make the first touch, her body shook and she contorted herself into all sorts of interesting shapes to avoid being touched. She also vigorously kicked her hind legs when she felt someone coming in too close or moving too fast. And yet, despite her past associations, most of the time she made a conscious choice to stay there in the chute with us and not to flee. The roan mare’s heightened sensitivity got me thinking about how the human psyche handles traumatic memories. Well, known psychiatrist, Bessel Van Der Kolk says that a trauma memory is a memory that does not evolve. It’s is stuck frozen in time. When something in our environment resembles something that we might associate with a past traumatic event, we are catapulted back in time and begin looping in a state of fear and panic, moving on autopilot in order to protect ourselves. It can be really hard for human beings to be present when a trauma memory is triggered. Instead of seeing what’s around us, we often just project what we’re expecting to see based on our past experience. There are few differences in how a horse holds trauma. Human beings try to make sense of what happened in an attempt safeguard ourselves from such pain in the future. Animals aren’t concerned with the “why.” While we are left making meaning and telling ourselves a story about why something happened or looping in a place of added shame and guilt, animals are much more skilled at using their awareness to navigate the present moment. As soon as their trigger association passes, they return to a state of open presence. Their bodies help them with this as well. They shake off excess tension and adrenaline from their nervous system and immediately reconnect with their herd, returning to a place of peace and belonging. How can human beings learn from this? How can we transform and integrate our trauma? Just like the roan mare, many of us have had events in our lives that have been traumatic. There are a variety of professionals trained to help clients with trauma. Therapists and coaches are trained in a variety of methadologies. The Equus Coaching (R) work that I do includes powerful healing with horses. The process of integration, when a trauma memory is triggered, offers an opportunity to create a different outcome that returns us to safety and wellbeing. It’s vital to have a skilled facilitator and a safe nonjudgmental environment to do this work. A place where we can kick, bolt or project our past memories and fears onto others and have a compassionate witness who can help us become conscious of what happened, see the story we create, and complete it with a new outcome where our needs for safety and wellbeing are honored. For the roan mustang, being in a chute where she was free to walk, trot, or bolt out anytime she reached the limits of her comfort zone, gave her access to her personal freedom. When the students approached her, it likely triggered past memories of being approached by BLM wranglers. But instead of coming in further, when the tension showed in her body, the students would stop and wait. Instead of being forced into anything, she was being seen, honored and understood. When she became more trusting and curious and was willing to cross the next threshold of vulnerability, the student reached out slowly to touch her with care, love, and compassion. They massaged her stiff muscles and gently stroked her. Suddenly, a human being coming to approach her had a whole new meaning. The trauma memories were re-triggered but this time ended with a new outcome. This is how trust is built. For human beings, it can be a bit more tricky to become conscious of our trauma patterns. We are really skilled at using coping mechanisms like disassociation, denial, or storytelling to elude what’s actually going on within ourselves. Our self-protection can often just feel like good logic. So how do we recognize when our behavior is actually arising from a trauma pattern? First, we start to recognize our coping mechanisms. We may or may not shake, quiver, and bolt like traumatized horse but most of us utilize numbing, avoidance, people pleasing, caretaking, or become defensive, aggressive, angry, judgmental or filled with anxiety. When these sensations or feelings arise we have to be willing to become curious in order to discover what our body sensations and feelings are showing us, rather than shaming ourselves or feeling guilty. We have to become skilled trackers of our own internal environment. During our training session, one of the students became triggered into a past trauma when she thought that members of the group might be talking about her and not sharing with her directly. It brought up memories of being singled out in school and being talked about behind her back, causing her to feel shame, isolation, and inadequacy. During the process of opening up and connecting with the roan mustang, she had to allow all the emotions she was feeling to flow through her awareness. Any holding back or guarding of herself would feel like a lack of mutual vulnerability to the sensitive roan. An attempt to compartmentalize her emotions would cause the mustang to feel like there was something incongruent and thus potentially dangerous taking place. This student noticed she was feeling really upset and guarded. Like she did with the wild mustang, she knew she needed to pause, acknowledge her discomfort and get curious. Bravely, she took some time to share what was happening with the group. We listened with compassion and gave her the chance to check in with each of us about her assumptions in the present moment. We invited her to ask us directly how we really felt about her and to clarify what the focus of our conversation was about. Once she was able to settle in and noticed that no one had a desire to speak poorly of her, she felt seen and heard. Rather than the trauma of being singled out, rejected, and talked about, the memory was able to complete itself in a new way. The student felt seen and genuinely cared for and this helped her to trust the group and form a new association for what it feels like to be with a safe group of people. 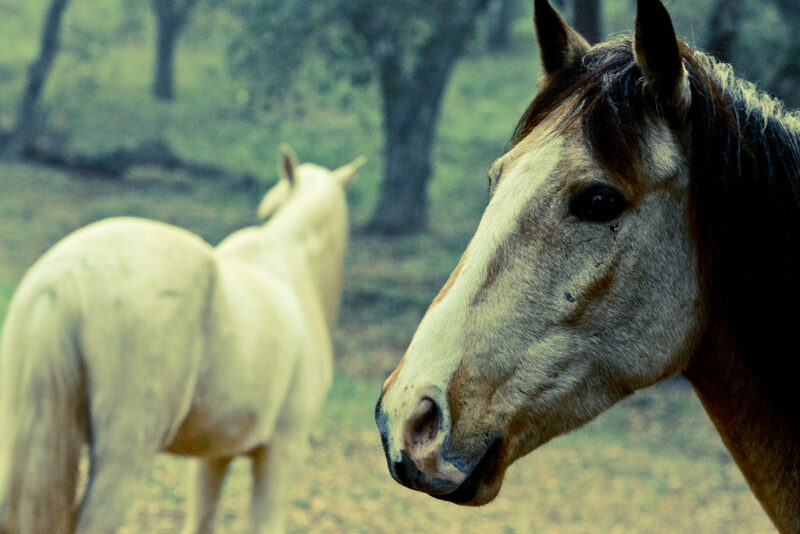 Just like the roan mare, this student was able to hold on through the transformational tension of a past trauma being re-triggered and reach for the courage to arrive in a new outcome, one that reflected honesty, safety, and connection. Transformation like this is the reason I do the work I do. This internal work has the power to free us from some of our deepest wounds and transform everything, repatterning us back to our natural state of love and connection. I can’t think of anything more beautiful or powerful than that. Beautiful way to engage trauma–respect, honor, listen. Thresholds to vulnerability. Came at the right moment as well! Grace?? Healing is walking on the water together. This work you are describing (re-triggering trauma) etc is in the scope of work of trained mental health therapists and psychologists. Without the proper training this can retraumatize them and cause more harm that good. As a person who had suffered from PTSD and was healed by working with a wise highly experienced psychotherapist, using specialized techniques such as EFT and EMDR, I would urge you to send clients suffering from trauma, depression or similar, to a mental health therapist. Working with them is a violation of scope of practice for a coach. While I believe you have the highest intent, that alone will not suffice. Thank you for taking the time to comment on my recent post. I greatly respect and appreciate your expertise and I am grateful for the opportunity to address a couple of things you mentioned. I have worked along side many experts in the field of trauma over the last 12 years. Although I am not a licensed therapist and am very clear to not to misrepresent myself to anyone, I do appreciate the direct mentorship and insights I have received from many in this field over the years. You are correct about EMDR, EFT and the skill and training involved in working with PTSD and trauma. We have an experienced licensed therapist on our team of teaching instructors who help Equus Coaches to recognize signs of PTSD and trauma. The Equus Coach training also addresses scope of practice and coaches are taught to refer clients to licensed mental health professionals for trauma work and PTSD treatment For this reason, we encourage coaches to build relationships with mental health practitioners in their area. Additionally, I want to make sure that my blog post did NOT imply that we (coaches) intentionally re-trigger trauma as part of our practice. Rather, we train coaches how to support a client IF or WHEN trauma memories surface in the course of a session. Thanks to your feedback and our concerns for the misunderstanding I have gone back to edit the post and hopefully the message is more clear. When a trauma memory is triggered or re-activated, the Equus Coaching environment safely and gently fosters self-awareness about personal fears, behavior patterns and coping mechanisms. Given the horse’s natural sensitivity and ability to mirror back to us our areas of self-doubt, hesitancy and emotional incongruence, Equus Coaching sessions allow the client to be supported by a an Equus Coach who serves as a compassionate witness while the interaction with horses lends itself to healing and a new state of personal awareness. For these reasons, we are excited about offering an Equus Coach Certification program specifically for therapists beginning in April 2018. 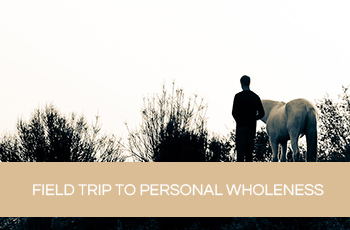 We believe that this will offer an opportunity for therapists to add the Equus component to their current practices. The course will offer horsemanship training, along with coaching tools and methods that incorporate the horse and will include the healing power of a horse as a co-facilitator in working with clients. I greatly appreciate your concern and that you took the time to write to me about it. I do feel that we hold each client and each student’s safety and well-being as our highest regard and we are excited to share the value of this work.